You will find WATER COOLERS for sale! Please contact these wholesale water cooler manufacturers & suppliers direct for more information about their water cooler equipment. 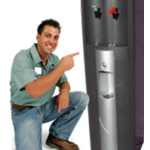 These water cooler dispensers suppliers listed below are in alphabetical order by company name. Alpine Products include; point of use (POU) bottleless water coolers, bottled water coolers, ceramic water dispensers, water filters, Reverse Osmosis, RO filtration, Ultra filtration, UF filtration, sub-micron filters, Ultra Violet UV sensitization and is independently certified by the Water Quality Association (WQA) and other recognized governing entities providing reassurance in the safety of your water. 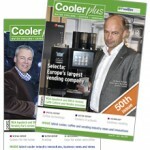 CoolerPlus Magazine from FoodBev – The international water cooler industry is in a state of continuous evolution and the change from Cooler Innovation to Cooler Plus reflects the increasing importance of coffee and vending, allowing the magazine – available in print and digital editions – to examine latest developments in more depth, and enabling the magazine to reach new and larger audiences.